Chelsea boss Maurizio Sarri has been under immense pressure for a while now and the height of it was when his side lost miserably to Manchester City last weekend. The 6-0 loss at the Etihad Stadium on Sunday has begun a domino effect at Stamford Bridge. 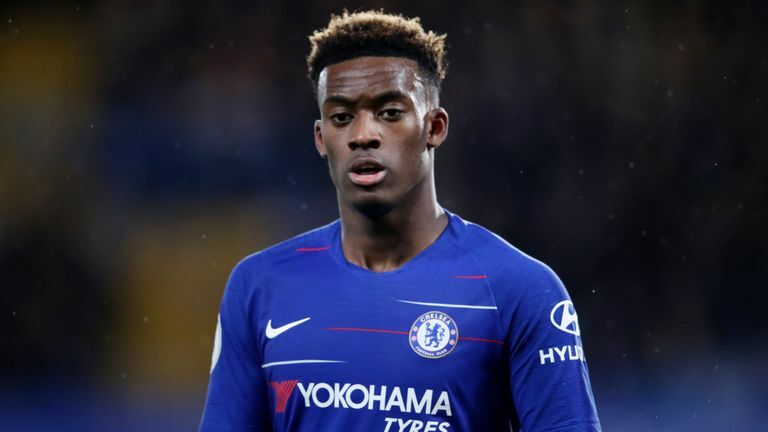 Queries are being made about some of Sarri’s decisions including his handling of want-away winger Callum Hudson-Odoi. The 18-year old is looking for an exit from Stamford Bridge with Bayern Munich very aggressive and open with their pursuit of him. With the teenager willing to swap the blue shirt in London for the red in Munich, Chelsea’s top brass are growing concerned by Sarri’s decision not to play him regularly, particularly when the senior players are not playing their optimum football at the moment. According to the Mirror, the club’s top brass are seeking answers from the Italian coach as to why the player has played very few games this season. Except for the cup games in January, he has missed several league games including the latest defeat to Manchester City. Reports said he was out due to illness but Sarri must now begin to show faith in the youngster or face serious consequences in the coming months.